Hong Leong Yamaha launches new Yamaha XJ6 Diversion. Port Dickson, 15 June 2011 – Hong Leong Yamaha Motor Sdn. Bhd. Introduced the new Yamaha XJ6 Diversion, a 4 stroke, 600cc liquid cooled, in-line 4 cylinder engine with fuel injection motorcycle, today. The launch to the media and press was held at the Thistle Port Dickson Resort. “We strongly believe the introduction of the new Yamaha XJ6 Diversion 600cc middle sports model will offer customers a new riding experience and a discerning lifestyle, whether in city traffic or in the scenic country open roads” said Mr C. H. Ng, Managing Director of Hong Leong Yamaha Motor. Present at the launch was Mr Shin Yokomizo, the project leader for XJ6 who explained on the model concept and development. 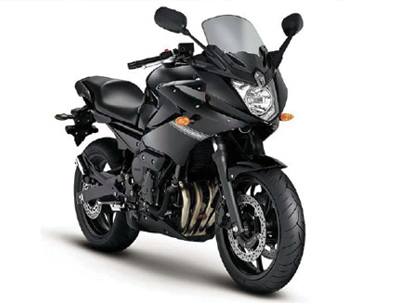 The new Yamaha XJ6 Diversion is locally assembled at its factory in Sg. Buloh and Malaysia is the second country outside Japan besides Brazil to assemble it. “The Yamaha XJ6 Diversion is a bike that you can feel comfortable, spend time and be with it anywhere, anytime” added Mr Ng. 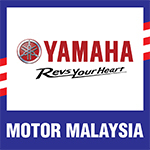 Hong Leong Yamaha Motor is targeting to achieve an annual sales volume of 600 units in the first year of introduction. The new Yamaha XJ6 Diversion is priced at RM 39,000 (excludes road tax, insurance and number plate) and is available at selected authorized Yamaha dealerships nationwide with a color choice of metallic blue or black.